Earlier this year, we saw a lot of cool new products at CES 2016 Best of CES 2016: 6 Amazing Products That Are Coming Soon Best of CES 2016: 6 Amazing Products That Are Coming Soon CES 2016 showcased thousands of awesome products, prototypes, and demonstrations. Here are some amazing ones that you might've missed and can expect to be released some time soon! Read More , including a Segway robot, a competitor to Google Glass, and even innovations to virtual reality. However, we also saw noticed several other reveals that showed us where home entertainment will be heading. So if you have a home entertainment center of your own — or plan on setting one up some time this year — then you’ll want to pay close attention. Not that you have to buy into these ideas, but they’re trending for a reason and you should try taking advantage of them as best you can. The first commercially-available 4K camera came out in 2003, but the technology didn’t really hit consumer radars until 2010 when YouTube began supporting 4K uploads. Even so, we have often recommended against buying 4K devices Should You Buy A 4K / Ultra HD Television? Should You Buy A 4K / Ultra HD Television? About a decade ago, manufacturers started to sell what's now widely known as an HDTV. But now HD is old news, so the industry has decided to push another new technology; Ultra HD, also known... Read More because 4K content is so rare to find. If you’re not really sure what 4K is, it’s just another term for 2160p resolution. It has twice the horizontal and vertical resolution as 1080p HD, which is why you’ll also hear 4K referred to as Ultra HD 4K. They all mean the same thing: a screen that can display at least 3840 x 2160 pixels. In 2015, we said 4K TVs were a waste of money Why Buying A 4K TV Right Now Is A Waste Of Money Why Buying A 4K TV Right Now Is A Waste Of Money With an obvious price difference between the new generation of 4K TVs, and older Full HD models - do you really need 4K? We think not, and here's why. Read More . In 2016, we’re saying that 4K might finally be worth considering. Services like Netflix and YouTube are moving toward it What Can You Actually Watch On a 4k TV? What Can You Actually Watch On a 4k TV? 4K TVs were definitely a hot gift this past Christmas—but what can you actually watch on one? Read More , and even if you’re stuck with 1080p content, it can be adequately upscaled What Is Upscaling? How Does It Work? Is It Worth It? What Is Upscaling? How Does It Work? Is It Worth It? What is upscaling? How does it work? Is it all it's cracked up to be? Here's everything you need to know. Read More . 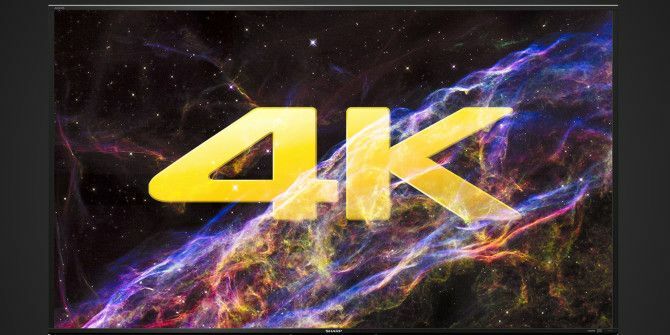 By the end of 2016, 4K will be a common media standard. Speaking of Ultra HD 4K, it was announced back in 2014 that future iterations of Blu-ray discs would support resolutions up to 4K at frame rates up to 60 frames per second. Now it’s finally happening: the first Ultra HD Blu-ray discs were released in March 2016. What’s so good about this? The resolution and frame rate are nice, but the real kickers are the extra features like larger storage capacities (up to 100 GB), an improved video codec, a wider color gamut, and support for high dynamic range. To cut a long story short, it’ll pave the way for better video and audio quality. The downside is that you’ll need a Blu-ray player that supports it and a television set that can display it, which means a hit to your wallet to upgrade your devices. Back in the 1990s and 2000s, plasma TVs were the “big thing” in home entertainment, but they have since fallen out of favor. In 2016, OLED TVs will be the spiritual successor to those plasma TVs, mainly because OLED technology provides the truest colors available today 8 Common Terms You Need To Know Before Buying Your Next TV 8 Common Terms You Need To Know Before Buying Your Next TV When you go out to buy a new television, you might be a little confused by the many options available, all the features they have, and the jargon you need to wade through. Read More . You’ll still be able to buy other kinds of TVs, of course, but CES 2016 proved that the picture quality of a top-end OLED simply can’t be beaten by regular LCD and LED screens. You want the best? It’s OLED or bust. Not only that, but starting in 2016, all of the best TVs will support high dynamic range (HDR), which simply means that brighter whites and darker blacks can be shown at the same time — and that means better contrast, fuller colors, and improved image quality overall. One of the worst things about buying a TV is that there are so many specifications to agonize over TV Buying Guide: How To Pick The Right TV For Your Living Room TV Buying Guide: How To Pick The Right TV For Your Living Room When it comes to buying a TV, there's a lot more than what's on a spec sheet. By the end of this guide, you'll know exactly how to pick the right TV. Read More : screen size, resolution, contrast, ports, and all the little things here and there, like support for 3D. It gets murkier depending on what you’re using the TV for too Choosing An HDTV For Gaming: What Specs Matter Most Choosing An HDTV For Gaming: What Specs Matter Most The HDTV you purchase for gaming matters, and it effects more than just image quality. Read More . For example, over the past few years, consumers have often been confused about the difference between HD Ready and Full HD What’s the Difference Between HD Ready & Full HD? What’s the Difference Between HD Ready & Full HD? Television and computer monitor manufacturers can be a sly bunch, using different acronyms to disguise hardware capabilities. Well, worry no more. We've explained what HD Ready really means. Read More . It gets worse when you realize the terms mean something different in the United States as opposed to Europe. Fortunately, the UHD Alliance has come up with the Ultra HD Premium standard, which is a set of guidelines that must be met before a TV can be stamped as “good for Ultra HD” — and that means that TV shopping shouldn’t be as much of a headache in 2016. A smart device is any device that supports Internet connectivity (e.g. smartphones and smartwatches are just phones and watches that can connect to the Internet). In 2016, smart home devices will grow more popular, and this trend will spill over into home entertainment. Fully smart homes are still in the infant stage, of course, but look to products like the Sonos PLAYBAR Wireless TV Speaker, the Philips Hue Smart Lighting Starter Kit, and the Roku 4 Streaming Media Player. Combine them with services like IFTTT and you can end up doing some cool stuff. That being said, you should never buy a smart TV 5 Reasons Why You Shouldn't Buy a Smart TV 5 Reasons Why You Shouldn't Buy a Smart TV It's undeniable that smart TVs are now obsolete, and at this time, the choice to buy a smart TV would not be a smart thing to do. Here's why. Read More unless you have no choice and can’t buy a non-smart model. TVs simply don’t benefit from being smartened in the way that other devices do. Interested? Get started with one of these reputable smart home brands 9 Reputable Smart Home Brands With Products You Can Trust 9 Reputable Smart Home Brands With Products You Can Trust The modern world is moving toward all kinds of smart home automation, and the longer you hold out, the more difficult it's going to be when your day of conversion finally comes. Read More . Also, look out for future patches to Windows 10, which may soon bring the ability to control your smart home with Cortana How Windows 10 IoT Will Soon Let You Manage Your Home How Windows 10 IoT Will Soon Let You Manage Your Home Thanks to a new partnership between Samsung and Microsoft, you might soon manage your household appliances from your Windows 10 computer. We show you what your future smart home might look like. Read More . 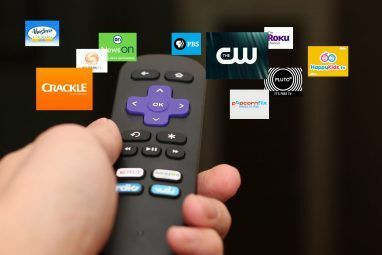 Speaking of smart devices like the Roku, expect to see improvements to streaming media devices The 8 Best Devices for Streaming Movies to Your TV The 8 Best Devices for Streaming Movies to Your TV There are several ways to stream media to your TV, and deciding which way is right for you can be overwhelming. Let us help you explore what's currently available. Read More like the Chromecast, Apple TV, Nvidia Shield, and others. But more than that, expect to see a lot of new content come from streaming services like Netflix, Amazon, and YouTube. Don’t believe me? Netflix is launching at least 13 new original series 13 New Netflix Originals You'll Be Watching in 2016 13 New Netflix Originals You'll Be Watching in 2016 Netflix has released a lot of original content -- including House of Cards, Orange Is the New Black, Narcos, and Master of None -- but 2016 is slated to be Netflix's most exciting year yet. Read More this year, YouTube is producing all kinds of series and movies for YouTube Red We Watched Scare PewDiePie So You Don't Have To We Watched Scare PewDiePie So You Don't Have To Are these YouTube Red Originals worth the price tag? We watched the first batch so, well, you don't have to. Here's what we thought... Read More , and Amazon is building its own library with shows like Transparent and Man in the High Castle. This all makes sense when you realize that users are abandoning cable in droves Online Streams Are Destroying Cable TV and These 3 Stats Prove It Online Streams Are Destroying Cable TV and These 3 Stats Prove It Online streaming services are beating the heck out of cable, satellite, and other forms of TV. Here are some mind-blowing stats that prove it. Read More and flocking over to streaming services because they’re cheaper and more convenient. And while there are some technical issues you may have to overcome How to Watch Everything on Netflix No Matter Where You Live How to Watch Everything on Netflix No Matter Where You Live We explore why Netflix content differs from country to country, and how you can watch everything on Netflix regardless. Read More , cord cutting is well worth the time and trouble required. Ever since the Oculus Rift development kits were sent out, the hype for virtual reality has grown exponentially. Seriously, the Oculus Rift is amazing How the Oculus Rift Works and Why You Need One How the Oculus Rift Works and Why You Need One Why is there so much excitement over the Oculus Rift? Because it's a technological marvel. Here's how it works and why you're going to love it. Read More , and if these example VR simulations Oculus Rift VR Simulations You Have To See To Believe Oculus Rift VR Simulations You Have To See To Believe You've seen the Oculus Rift, but you haven't seen some of the insane uses it's been put to. Check out these awesome Oculus Rift demos from around the world. Read More don’t get you excited, nothing ever will. What’s more exciting is that Oculus Rift is no longer the only player Oculus Rift vs. HTC Vive vs. Playstation VR: Which Should You Buy? Oculus Rift vs. HTC Vive vs. Playstation VR: Which Should You Buy? Virtual reality is right around the corner and there are three systems to choose from. Here's what you need to know to make an informed, smart decision. Read More . 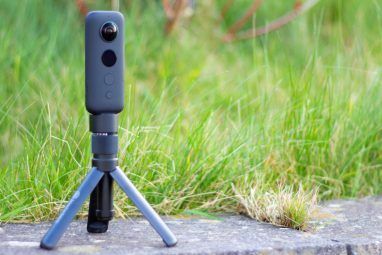 You’ve got competitors like the HTC Vive and Playstation VR for full-blown experiences, but you’ve also got Google Cardboard as a budget alternative Meet Google's Next-Generation Virtual Reality Platform Meet Google's Next-Generation Virtual Reality Platform Read More . 2015 will forever be known as the year that birthed virtual reality, and there’s nowhere to go but up from here Why Virtual Reality Technology Will Blow Your Mind in 5 Years Why Virtual Reality Technology Will Blow Your Mind in 5 Years The future of virtual reality includes head, eye and expression tracking, simulated touch, and much more. These amazing technologies will be available to you in 5 years or less. Read More . VR gaming is the most obvious application, but VR movies and VR “hangouts” aren’t outside the realm of possibility either. What Trends Do You Predict? 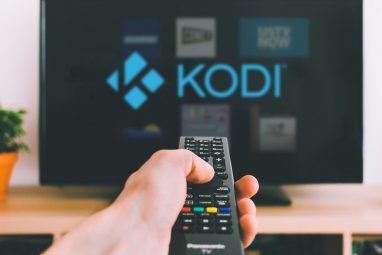 Some of these developments are going to be really awesome, especially once manufacturers and content producers and consumers all embrace these new features and standards for what they are: the next step in home entertainment. To be clear, we aren’t necessarily saying that you need to be an early adopter — which is a bad idea more often than not 5 Reasons Why Being An Early Adopter Is A Bad Idea 5 Reasons Why Being An Early Adopter Is A Bad Idea Are you the type of person who pre-orders the newest tech gadgets as soon as they’re available? Then you’re an early adopter. Is there a downside? Let's find out. Read More — but you should still be aware of what’s trending. Knowing about these innovations now could help you make better decisions next year or the year after. Which of these trends are you most excited about? Which ones do you believe will flop? Are there any other trends we missed that you think will be huge in 2016? Please share your thoughts with us in the comments below! Explore more about: 4K, Blu-ray, Smart TV, Television, Virtual Reality. I have an image that needs an edit. It would probably be very easy for a Photoshop expert, but not so easy for me! Is there a forum or site where a Photoshopper would be willing to help me out? One single Image.